If you thought the cord-cutters’ market was aggressive before, just wait until you get a load of YouTube TV. The online video staple announced the full scope of its live TV bundle, complete with unlimited cloud DVR and a moderate monthly subscription fee. Currently projected at $35 a month, the service also includes an unlimited cloud DVR that works with any show simultaneously for up to nine months, streamable on mobile, tablet or computer, as well as Chromecast, Android and iOS. Also included is access to YouTube Red originals, and up to six accounts per membership. 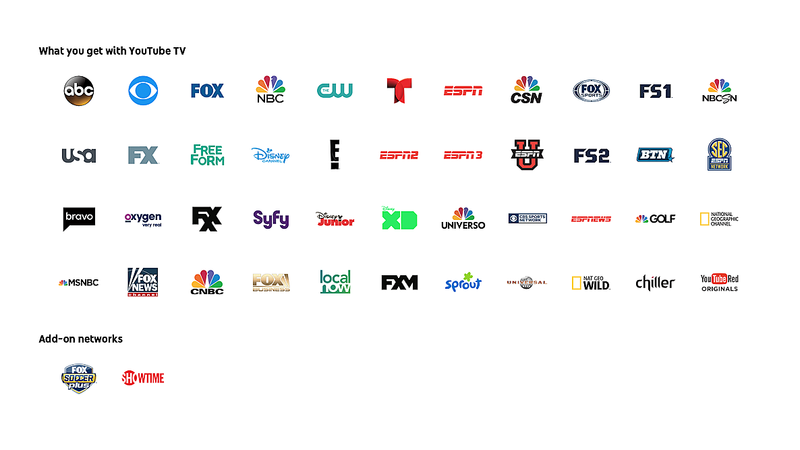 In the meantime, you can visit the YouTube TV site and find out when service goes active in your area.